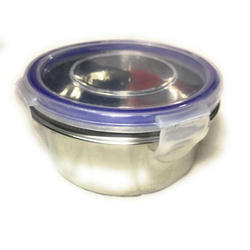 Offering you a complete choice of products which include spice box puri dibba, lunch box dibbi, coffee mug, sauce pan, professional ladle wooden handle and double wall cup. 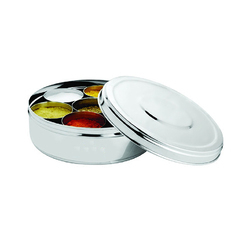 Our company holds expertise in providing an unmatched range of Spice Box (Puri Dibba) to our clients. Based on our industry experience we offer a complete customer satisfaction products. Our range of products is highly tested for their durable, attractive finish, eye-catching design, and also we use latest technologies to meet the specifications of the clients. We provide these equipments to our respected clients in various sizes and models as per the client's requirements. Our offered range of this Coffee Mug has crafted using high quality materials that are procured from reliable vendors in the market. 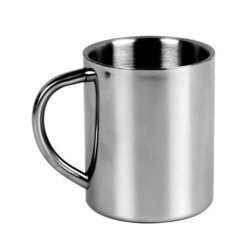 These mugs are highly preferred by our clients owing to their sturdy designs and attractive looks. These mugs are offered by us are available in various models and specifications to meet the variegated demands of our customers. 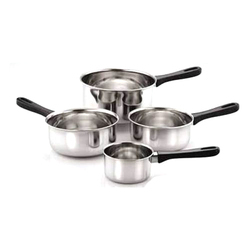 Our clients can avail from us an extensive array of Sauce Pan which is available in different sizes and designs that meet the individual requirement of our clients in the best possible manner. We manufacture and supply in many small and large scale industries, hotels and restaurants are designed in order to complete the demand of several national markets. These are accessed at a cost effective price. 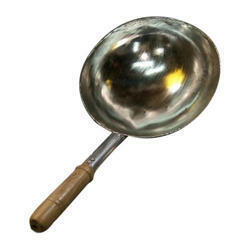 Clients can avail from us high precision Professional Ladle Wooden Handle we ensure that every product we produce at goes through strict quality check-up to offer flawless products to our customers. We offer these at affordable prices. 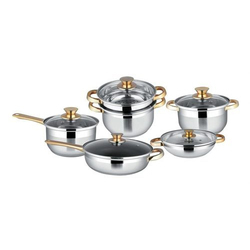 Our range is in high demand in the market and is appreciated for its incomparable quality features. 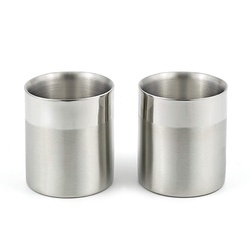 We are leading manufacturer and supplier of Double Wall Cup to our honored clients. We are providing are appreciated for their intricate designs, matchless finishing and prints, elegantly designed, these cup saucers are a splendid piece of beauty and catch the attention with their contemporary appeal. Clients can avail these from us at affordable prices in the market.